Tesla has released firmware version 2017.50 and it has new cold weather features. We'll show you tips that work with this new firmware and tips that you can use in any electric vevhicle. Old man winter's here and it's cold outside. The cold weather and road contions have impacts on driving regardless of the fuel source. 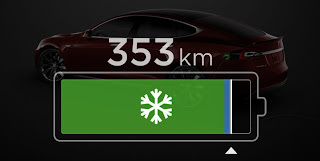 In an EV, winter conditions have range impacts. 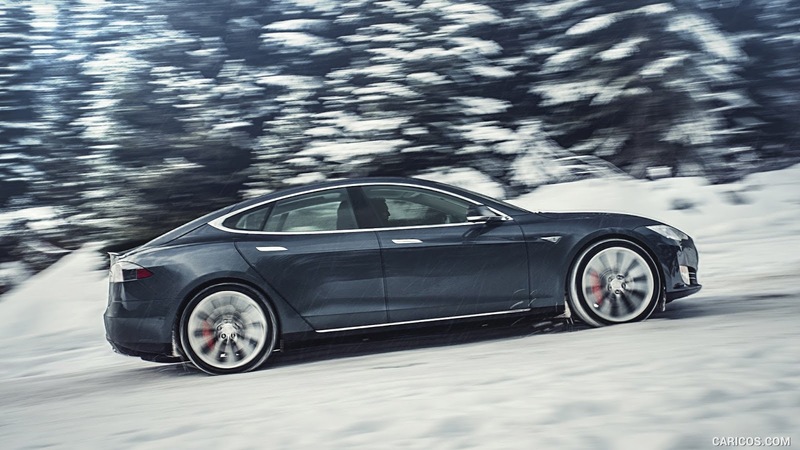 If you want to maximize your winter driving range, there are some smart things that you can do in a Tesla to make winter driving comfortable and to maximize your winter range. 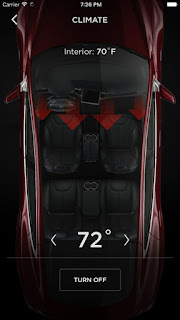 Using the Tesla app, you can preheat your car while it is still plugged in. This allows the cabin to heat up using wall power instead of battery power, leaving more of your battery energy to move you down the road. You might even pre-condition 4 or 5 degrees above where you'd like it normally to further delay the use of battery power for the climate system once you are on the road. To use this tip, you must keep your car plugged in. Occasionally, new EV owners worry that leaving their car plugged in will damage the battery or cause a memory effect. With Teslas, the saying is "A plugged in Tesla, is a happy Tesla." There is memory effect concern with modern Lithium batteries. If you plan on leaving your can for any period of time, set the range down into the "Daily" region and keep it plugged in. This allows the car to draw power whenever it needs it for various thermal maintenance and connectivity actions. As I write this, there is no option to schedule a reoccurring climate control event in the app, but a major overhaul of the Tesla app is expected in 2018 and this is an oft requested feature so I would not be surprised to see it arrive soon. There are 3rd party apps available today that will allow you to pre-heat on a fixed schedule if this is a must have for you and you don't want to wait. Starting with firmware version 2017.50, Tesla added a new feature to precondition the battery. It might be more accurate to say that the app now displays this to the user since the car has had this feature for several years, but now the driver can see the battery temperature state. When the battery is too cold, it is limited in many ways. It cannot charge or discharge at its full rate. This limits acceleration and regen. With limited regen, energy is wasted rather than recaptured and your range will be reduced. 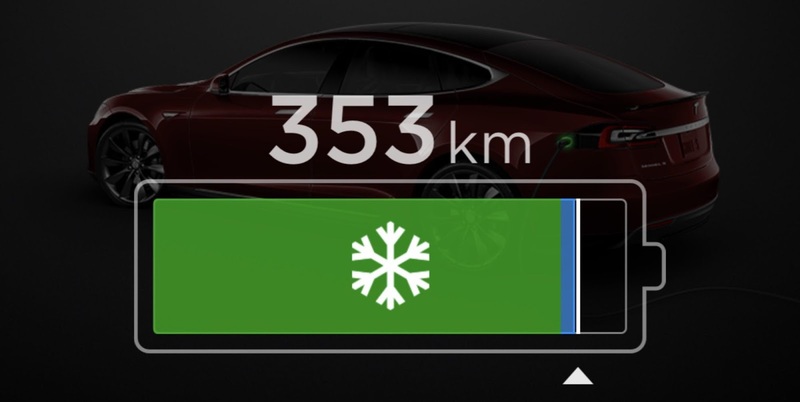 When temperatures are near freezing and the battery would benefit from preconditioning, you'll see the snowflake icon and a blue region in the Tesla app. The blue region shows the portion of the battery capacity that is currently not available due to the cold temperature. To start the preconditioning, just turn on the climate control system. Climate control only takes a few minutes to heat or cool the cabin but warming the battery takes about an hour, so plan ahead when possible. Using this feature will allow you to regain the blue region of the battery and increase your range and performance. Just like Tip #1 above, to maximize range, make sure the car is plugged in. If you live in a region that has a notable winter season or you just don't like being cold, it's worth it to get the subzero package when you buy a Tesla. It adds heated seat, heated wiper blades, heated washer nozzles, headed mirrors, and a heated steering wheel. Heating the seats and the steering wheel is a much better way to stay warm than heating all the air in the cabin. Depending on the outside temp, this may be all the warming that you need. The above tips have been about keeping you warm and maximizing range. This tip is about keeping you safe. Winter driving can be dangerous. Make sure you use adequate traction control for the conditions and slow down as needed to maintain control. If you live someplace with harsh winter conditions, then you should likely get winter tires and carry chains. 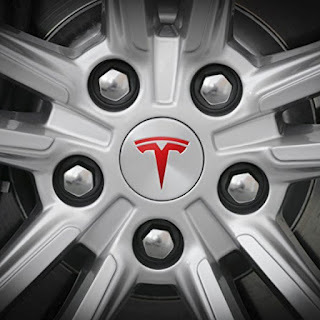 Tesla sells traction devices that are made to fit their cars in their "shop" website. I am fortunate that we only have a few days each year of snow and ice. On these rare days, I can generally work from home so I usually don't have to drive in the snow unless we're headed up to Mt. Hood for some skiing fun. Even though snow and ice driving are not part of my typical routine, it's better to be prepared. I don't want to stranded if there is a surprise snowstorm while I'm out of the house. If we need supplies or there's an emergency, I want to be able to drive in winter conditions. To cover this case, I carry a set of AutoSocks in the car. These are light and easy to put on. They slip over the tire like a shower cap. Much easier to put on than chains and they work far better than I thought they could. I'm not sure that you'd want to use them on a 100-mile skip trip, but they'd work great for a trip to the store on a cold winter's day. You can pick up a set here. When it's cold in the car, you might be tempted to crank the heater up all the way. 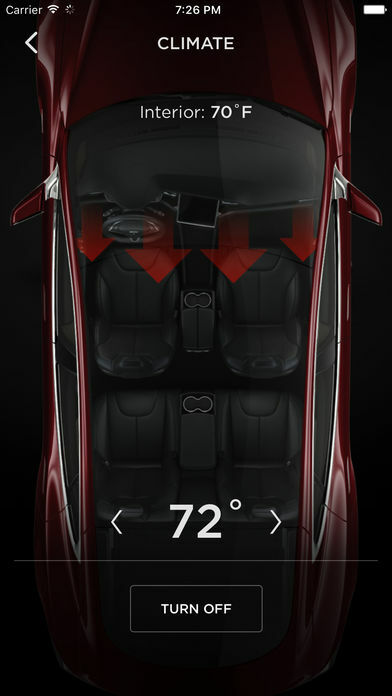 Tesla's cars have powerful heaters that can bring the cabin temp up to 80F/27C quickly. This is usually a waste of energy. 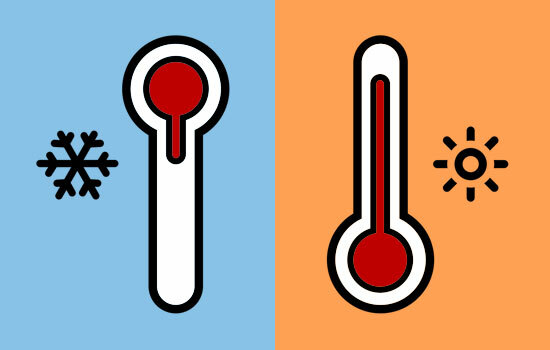 Instead of setting it on HI, just set it to the temp that you want, such as 72F/22C and let the HVAC system do its thing. This will avoid the overshoot that will likely occur if you are manually controlling the system. 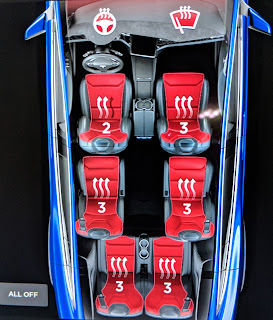 As we mentioned in tip 3, make sure you are warming your seat when you're cold. If this is not enough, this can be supplemented with the cabin heater. You might notice that you can leave the HVAC temp a little lower than you normally would when you have your hands and buns already warm. This might also mean that all you really need to do is warm your feet, so you can direct the HVAC air to just that region. If you turn on Range Mode in your Tesla, the HVAC system power is reduced. This can help in this case, but it is generally needed if you follow the tips above to preheat, seat heat, and use a smart temp. Depending on the options that you buy with your Tesla, you'll have 2 or more acceleration modes. They are: Standard, Chill, & Performance/Ludicrous/Launch. When you are driving on snow and ice, gradual acceleration is a good idea. Chill Mode acceleration can help keep all the tires gripping. Traction control certainly will still kick in as needed, but Chill Mode can help you lighten your foot a little and prevent you from needing it as often. Chill Mode also seems to engage the regen a little slower, this means it can help when slowing down as well as when accelerating. Speaking of chilling, now that you have the cabin, battery, and seats warmed up and the climate control set just right, it's time to drive. 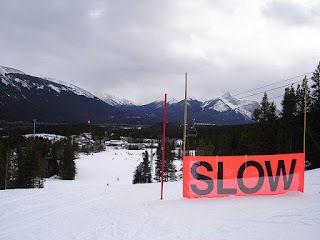 If you want to increase your driving range, one of the simplist ways is to slow down a bit. Drag is a function of the square of velocity, so even taking 5 MPH off your speed could have a notable impact on the range. When you are driving on ice and snow, slowing down is a good idea for safety too. Here, you have the additional benefit improved range. Know Before You Go: As always, when traveling in an EV, make sure to allow for a margin of error on your routine planning and charging. You don't want to get stranded. Especially in the winter, road closures are possible and you may have to take a detour. Make sure you have enough charge to get to your next stop. If you have an app like PlugShare, it can help you find a place to grab a few extra killowatt-hours if the unexpected happens and you need a charge. Anytime you stop and plug in, make sure to preheat the cabin and seats again before you unplug and get back on the road. If you've been driving and charging, the battery pack should not need to be warmed up again. The side view mirror defrost does not have its own setting. They are enabled when the rear window defrost is turned on. I hope these tips help you stay warm this winter. Have a nice cup of cocoa when you make it to your destination. Be sure to wear a good coat, hat, and gloves for the trek. Drive Safely. While talking with some EV-driving friends about the Tesla Semi, we got to the subject of paying to charge the truck on the road. At the Semi unveiling event, Elon Musk said that it would cost 7¢ per kilowatt-hour anywhere to charge in North America. To my surprise, they didn't think that Tesla could profitable sell energy for such a cheap price. One of these friends drives a Tesla and is a big fan of the company, so I was surprised to hear his skepticism. I asserted that they could. Everyone has opinions, but let's look at some data and try to make it an informed opinion. Looking at the numbers for 2016 and 2017, you can see that wholesale prices are generally $30-$50 per MWH. That is only 3 to 5¢ per kilowatt-hour. There are times when it is 9 or 12¢, but just as many times when it is 2¢. Tesla has acquired SolarCity and they are in the energy business. This gives them access to the wholesale market in many regions. Looking at the wholesale data alone, you could profitably buy energy on this market and resell it at 7¢ per kWh. However, this is only part of the picture. What makes industrial energy expensive are demand charges. Large industrial electricity consumers are charged per kilowatt-hour similar to residential customers, but they additionally have to pay a demand charge. Whereas industrial electricity rates are pennies per kilowatt-hour (generally cheaper than residential rates), demand charges are generally several dollars per kilowatt-hour. Depending on the usage, these demand charges can be up to 80% of the energy bill. Demand charges are designed to discourage big swings in demand from the grid. If industrial customers can use energy at a steady and predictable pace, then the utility can better serve everyone. Steady predictable usage helps prevent brownouts and the need for more expensive peaker plant sources such as diesel generators to be powered on by the utility. Controlling demand charges the key to industrial electricity usage. If Tesla can buy energy for 3 to 5¢ and sell it for 7¢, they have a positive gross margin. If they have $8 per kWh demand charges on top of that, they have a big loss. Applying this to Tesla Megacharger stations, there are three mechanisms that Tesla has to manage these demand charges: Onsite energy storage (Tesla Powerpacks), Solar energy production, Charging speeds. Let's look at each of these. Tesla's Megacharger stations will most likely have Powerpack energy storage systems as part of their design. Using these batteries Tesla can manage their grid demand. During a peak use time, rather than draw all the energy from the grid, they could, for example, draw 80% from the grid and 20% from their onsite batteries. This allows them to reduce the grid draw while not requiring the onsite batteries to take 100% of the needed demand. The batteries can then be recharged long after the semi is back on the road. This draws the same amount of energy from the grid, but it smooths out the load and reduces or avoids demand charges. Once Tesla has Powerpacks installed, they could offer Peak Shaving and Load Shifting energy storage services to the local utilities. 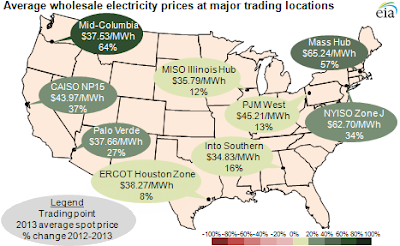 In many regions utilities have renewable energy goals. If they have to turn on demand standby sources (peaker plants) such as diesel generators, this could blow their CO2 budget and result in fees (in addition to the fuel cost). 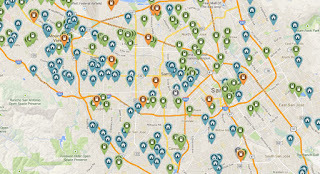 If Tesla offered Demand Response Services to local utilities, they could have an additional revenue stream for these sites. Today, for Tesla to build an energy storage system for a utility, they have to go through an arduous approval process. However, if the Powerpacks are already installed and Tesla is offering this as a service, the upfront cost to the utility would be much smaller and the approval process to use the service could be much simpler. 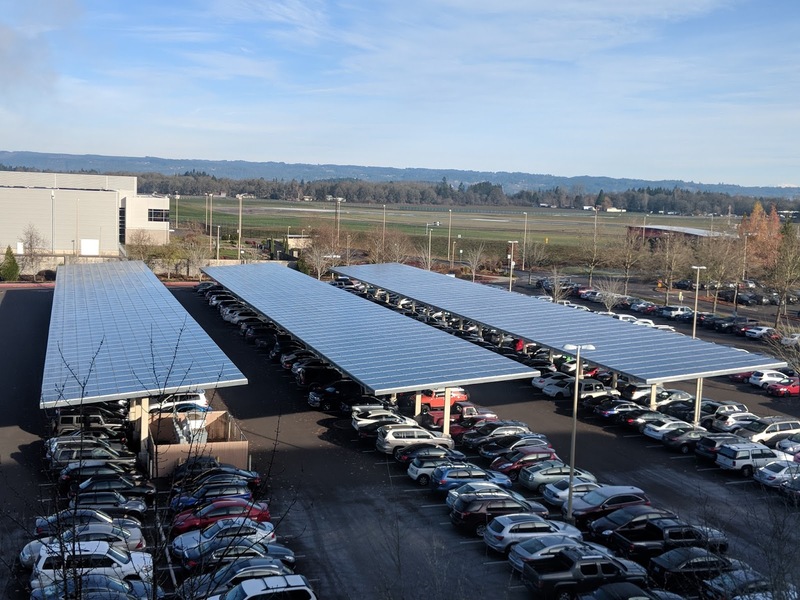 As we covered recently, a solar carport covering 40 parking spots (depending on where it is installed) can provide enough energy to power 100,000 Tesla Semi Truck miles annually. 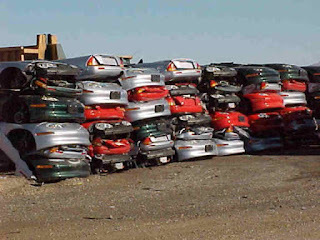 This is energy that Tesla can sell without buying it on the wholesale market. Additionally, when solar is paired with energy storage, this allows for load demand management. The solar panels will produce energy during the day. Any semi charging that occurs when the sun is out would allow the onsite management software to determine the best combination of sources to draw energy from (solar panels, batteries, and/or grid). Excess solar energy would be stored in the Powerpacks for evening use. The Powerpacks could then be recharged overnight at off-peak rates for morning charging events before sufficient solar energy has been generated for the day. Last on the list of things that Tesla could do to control Demand Charges is to slow the recharge rate of the Semis at the Megacharger. This is not something that they are likely to do, but it is an option. If they hit a case say at 8PM when the Powerpacks are drained, the solar is no longer generating and using grid energy is the only option. Then charging at 90% instead of 100% would reduce the grid load. Installing Megacharging stations with solar carports and Powerpacks will be expensive. Today, however, the markets are willing to invest in Tesla's growth. Projects like this, with significant capital outlays are only possible when they expand the market potential for a company. For Tesla, freight hauling is a new market with the possibility for huge future revenues, so the markets are again likely to fund this topline growth. I've been making the case that the energy sales alone could be profitable. However, it is worth pointing out that at franchise gas stations, the station owners make little or no money from the pumps. The profits from the fuel sales go to the parent company. The franchise makes its profit from the store. The coffee, Marlboro, and Slim Jim sales are what keeps the lights on at your local gas stations. Tesla Megacharger stations are going to have amenities such as coffee shops and restaurants. Sales are more likely to be lattes and scones than Marlboros and Slim Jims though. These amenities sales will be a much higher margin portion of the Megacharger revenue. 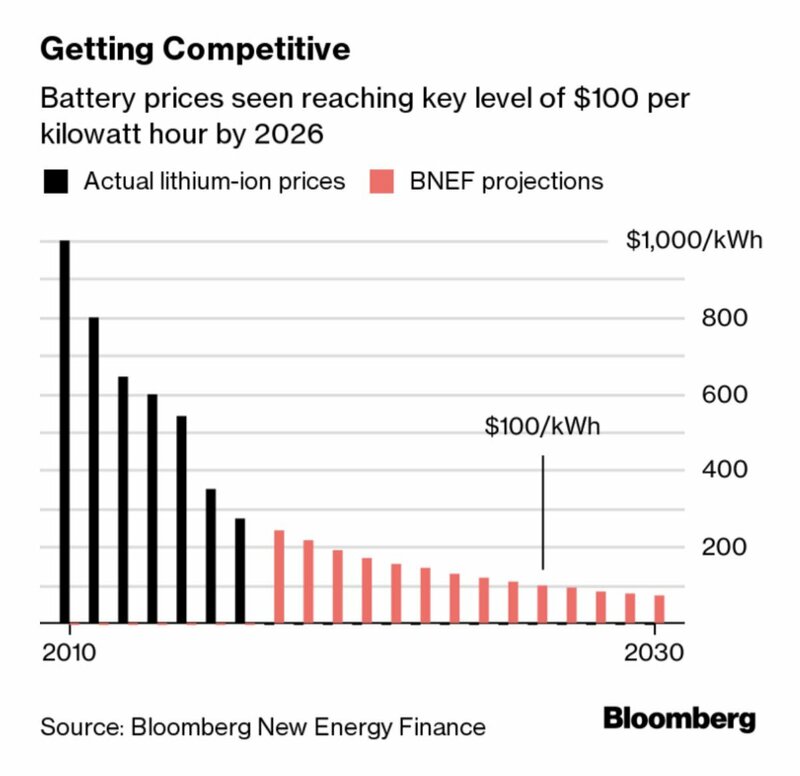 This post started with the assertion by my friend that Tesla would lose money by selling energy at 7¢ per kWh. A first-order approximation response shows that wholesale energy markets commonly sell energy for 3 to 5¢ and that reselling for 7¢ could be done profitably. Additionally, Tesla will generate their own energy onsite with solar panels. These require very little ongoing maintenance and will allow Tesla to sell energy without buying it from the wholesale market. With solar and onsite storage, Tesla has all the tools they require to mitigate demand charges. Tesla has further opportunities to generate revenue with the Megacharger stations by offering peak-shaving and load shifting services to local utilities. There will be a significant cost to build-out this infrastructure, but the market has shown a willingness to fund Tesla's topline growth and Tesla's market darling status does not appear to be in any danger. This will allow Tesla to raise capital as needed to fund this growth. All this allows Tesla to branch increase their revenue, grow their infrastructure, and take a chunk of a new market. I've seen a couple attempts to figure out how solar energy would be needed to "fuel" a Tesla Semi Truck. The analyses that I've seen have several flaws. They assume things like the panels must provide power at the same level as the charging system or that charging at night would cause problems. I'll show that neither of these are problems. The primary failure of these analyses is that they confuse power and energy. I even conflated them in the title of this article (depending on how you read it). If you want to understand the difference between power and energy, you can read about it here. When you are looking at how far the semi can go, what matters for our purposes is energy. The Tesla Megacharger stations will have onsite batteries and they will be grid-tied. This means that energy use can be time-shifted from the energy generation and the system could use net metering as well as the batteries as a form of energy storage. Can solar panels generate enough energy to significantly supply a Tesla Semi? To be clear, I don't mean solar panels on the semi truck itself. We're talking about stationary rooftop or carport solar panels. Will it take 4000 homes worth of rooftop solar installations or just a handful of rooftops PV panels worth? Several years ago, we wrote an article that detailed how you could calculate how big of a solar array you'd need to supply your own EV. Now, we'll use the same tools and apply them to the Tesla Semi. This is a two-step process: One, determine the energy need. Two, size the solar array to meet that need. 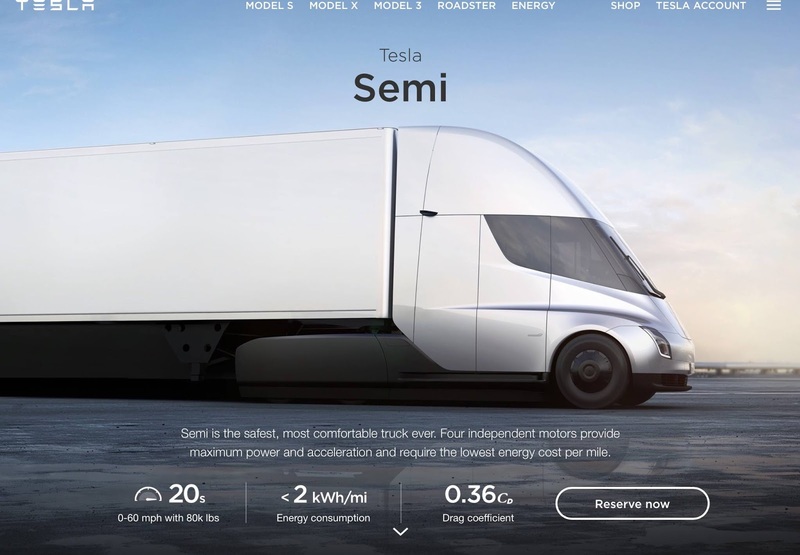 According to Tesla, their Semi uses less than 2 kWh per mile. To cover the worst-case, we'll use 2 kWh in our calculations. According to the Federal Highway Administration, a typical semi drives about 45,000 miles each year on average. Long-distance trucks travel upwards of 100,000 miles a year. Using these datapoints, we can determine that a Tesla Semi driving a typical 45,000 miles annually will use about 90,000 kWh each year. A road warrior Semi would need 200,000 kWh. For context, in 2016, the average annual electricity consumption of a U.S. residential customer was 10,766 kWh. So a typical Tesla Semi will use the energy of about 8.4 typical U.S. homes. Now that we know the typical and extreme energy use, we can size a solar PV system to meet this need. How much energy is produced by solar panels depends on where they are installed. Not surprisingly, sunny locations produce more energy. Since Tesla Megachargers will be installed all around the world. To get some idea of the impact we'll look at sunny San Diego and rainy Portland, Oregon. Using the calculator at the National Renewable Energy Lab, you can determine that in sunny San Diego, to generate 90,000 kWh, you would need a 53 kW system. We have a 12kW system on our house. Assuming a similar rooftop size, 5 San Diego home rooftops could drive a Tesla Semi more than 45,000 miles. Looking at rainy Portland, running the numbers, it would take a 78kW (6.5 rooftops) PV system. That is big, but not undoable. You can use the link above and plug in your own town and see for yourself how big of a PV system would be needed where you live. Above is a picture of a 400kW SolarCity carport. An installation like this in San Diego would generate 664,000 kWh/year. This would fuel a Tesla Semi for ~332,000 miles. That means each of these carports that covers 40 cars could fuel one of the 100,000-mile road warriors with miles to spare. In Portland, a carport installation like this would generate 469,000 kWh/year, enough for 235,000 Tesla Semi miles. Solar carports and rooftops can provide enough energy for hundreds of thousands of miles. 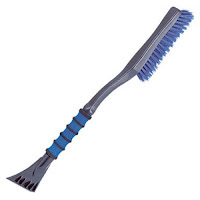 Now, if you hear someone say. "It would take football fields worth of solar panels to power a Tesla Semi", you know the truth of it. You now know that a 40 car solar carport could supply enough energy for 100,000 miles. That means coving a 400-car parking lot at the mega-mall or outlet stores with solar carports would deliver enough energy for over 1 million Tesla Semi truck miles. If you hear someone say, "It would take the power of 4000 homes," you know that it is energy that matters and that it only takes 5 or 6 houses worth of solar to supply a typical Tesla Semi's annual needs. 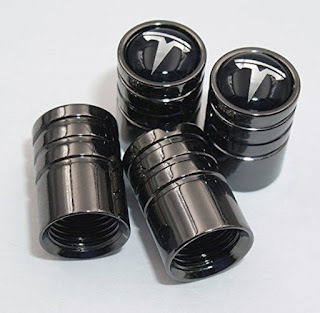 Our Affordable Tesla Fan Gift Guide was recently featured on the Plug Your Ride podcast! I listen to a lot of podcasts and Plug Your Ride is one of my favorites. The host is Eddie Haskell. He's a Tesla owner and enthusiast that brings a fun slant to Tesla news as well as stories of his own Tesla ownership experience. A regular feature of his show is Tesla tips and tricks. This week, I was surprised to hear in Episode 50 that his Tip Of The Week was a post from this blog. To return the favor, I'm writing this post to plug his podcast. So here's a plug for Plug Your Ride from Cars With Cords. Thanks Eddie! You can find the Plug Your Ride podcast on iTunes, Stitcher, TuneIn, or at their RSS feed. Tesla vehicles are not cheap, but that does not mean that you can't find a few affordable "upgrades" for your ride or the Tesla fan on your shopping list. If you are looking for an affordable gift, we have several great options and many are under $10. 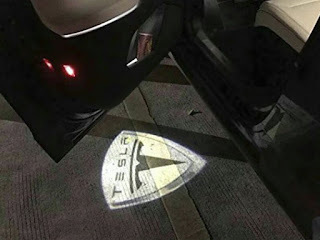 Puddle lights The Tesla logo projects from the bottom of the door. These are quick to install, no tools needed, and they look great. Wheel Decal: Add a nice pop to your wheels. Available in red and carbon fiber pattern. Sits in the imprinted stamp for easy application. Valve Stem Covers: Tire air valve covers with the Tesla logo. 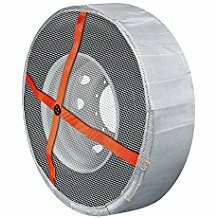 Less than $10, easy to install. A great stocking stuffer. 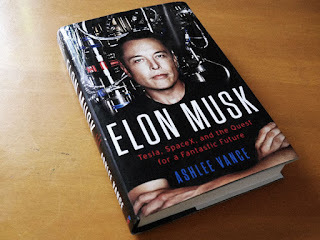 The Elon Musk Biography: Musk refused multiple writers, but eventually agreed to sit down with Ashlee Vance. Read (or listen for audiobooks) about Musk's childhood, formative years, and the adventures of his fearless grandparents that give Musk his daring outlook. 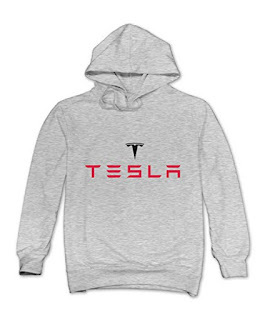 Tesla Hoodie: Stay warm this winter and show your support for the Tesla. 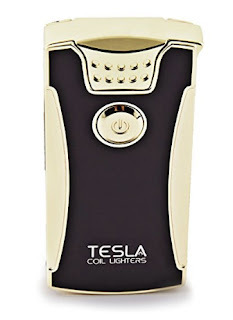 Tesla Coil Arc Lighter: Last on our list is a Tesla lighter. This is no ordinary lighter. There is no lighter fluid in this one. Like the car, it is electric. And it never runs out of spark because you can charge it up from the USB port in your car. If you drive a Tesla, your car does not smoke, and you may not either but lighters are good for campfires, candles, fireworks, and much more. 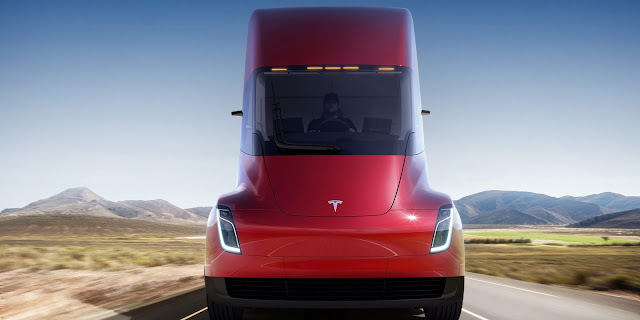 I just watched a conservative "news" program interview a trucker that said the Tesla semi truck was a farce, that it would never work, that 500 miles was not enough range, and that the recharging network would never be built. Some people don't want to accept change. As Halt And Catch Fire put it "You are the future...nothing is scarier." My dad was a truck driver. He drove for Chevron, Blue Bell Potato Chips, Navajo Express, and was an independent driver when he finally retired from trucking. We lived in Portland, Oregon. When I was in middle school, during school breaks, I'd ride with him up and down the west coast. Seattle and back in a day, or an early start and a long drive to Los Angeles for a day or two and then back on the road heading home. How would Tesla's 500-mile truck work for these runs? Portland to Seattle is about 175 miles. This means that you could make it there and back and still have more than 100 miles of range left. If the loading docks where you pick up and drop off have chargers, you'd have even more range without ever stopping explicitly to charge. Heading from Portland to LA is different. It's about 965 miles one way. And you have to drive through the Cascades in southern Oregon and over the Mt. Shasta pass in northern California. The drive to LA would require at least one charging stop, considering the mountains, likely two stops. There's a Tesla Supercharger in Grants Pass and that would be a good spot for a Megacharger too before heading over Mt Shasta. Driving through the mountains, the Tesla Semi would have far more power than a low geared diesel. 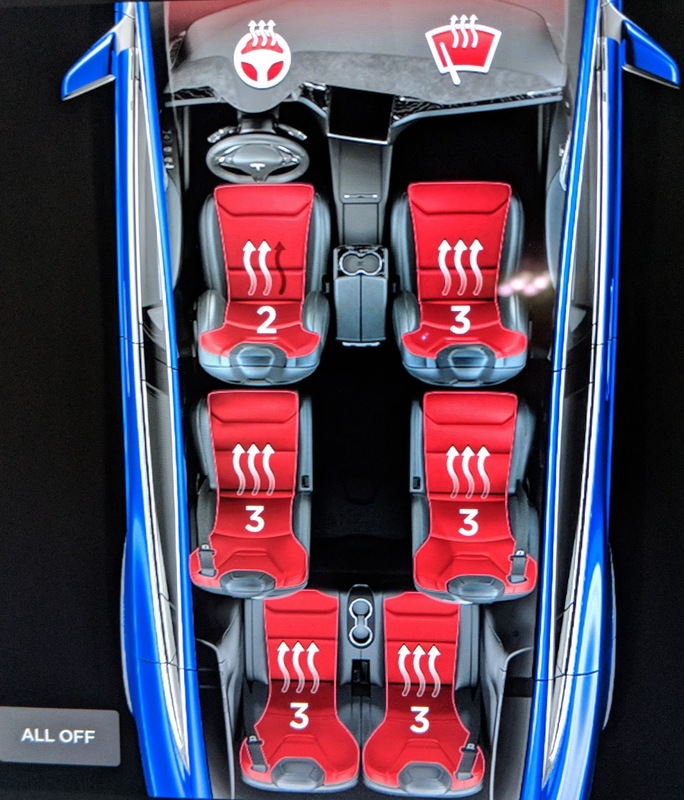 Performancewise, diving the torquey Tesla Semi with a full load would feel like running a diesel with empty cargo holds, except you'd have a load that you'd be getting paid for. The way the driving rules are written, truckers are required to take (and log) breaks on long drives. The Tesla charging times will align very nicely with these. And because the Tesla Semi will be able to move swiftly through these mountain passes, you be able to go farther between breaks. After 25 minutes charging at Grants Pass, the semi will be able to climb the pass without breaking a sweat. Then it's literally downhill from there. The regenerative breaking in the semi will slow the descent from Mt Shasta to Redding while recharging the battery. From there the semi should have enough charge to make it to the Bay Area. Another 30-minute charge and a logged break anywhere between Sacramento and San Jose will be enough to complete the trip to LA. So the trip to LA can be done with 2 meal breaks where both the driver and the truck recharge a little. The two trips I illustrated here both happen to have worked out well. You certainly could find coast to coast trips where it would be much more difficult to stop every 500 miles. But if you are using those examples to say "the Tesla Semi is a farce that will never work", then let me offer this in another light. Fleet managers are not dumb, they are only going to use battery powered trucks where they work well. The diesel-powered truck will still be part of their fleet to cover the longer routes. This is until the battery-powered semis can handle those too. Let's look at one technology comparison. When digital cameras came out, they had a horrible resolution and the major camera companies like Kodak dismissed them. What Kodak did not see was the growth curve of the technology. Digital cameras soon had good enough images for sharing on the dial-up internet, then on broadband social media, and today you can buy digital cameras with resolutions that are better than film grains. So the battery-powered semis will be used for select routes in the beginning. The ones that can be done without charging (like Portland to Seattle and back, the shipping dock to the warehouse, or on regular well-defined distribution routes). Another option for early Tesla Semi routes are ones with charging conveniently located at required break intervals such as Minneapolis to Denver with a dinner/recharging break in Omaha. From from these humble starts, the technology will keep improving adding about 100 miles by 2023, for 600 miles of range, then 700 miles in 2026, and hitting 1,000 miles of range in 2030. This will open many more opportunities. One thousand miles might seem impossible, but that prediction only requires a modest 7% improvement each year. 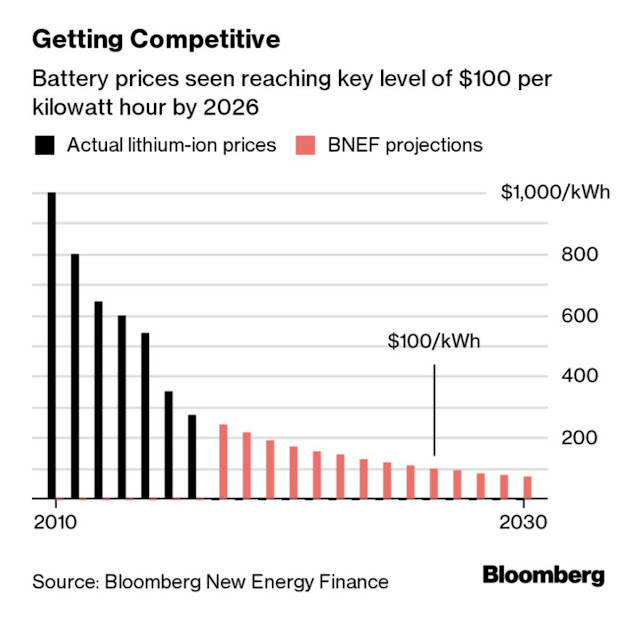 Lithium-ion battery technology has been advancing at just this rate for over a decade and it shows no sign of slowing. During some years it has advanced 9 or 11%. 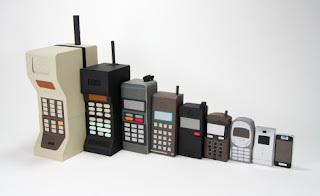 Just as battery advances allowed mobile phones to shrink and talk times to improve, over the next decade battery tech will now allow semi recharge times to shrink and ranges to improve. The game has changed. Fighting that fact is like fighting the tide. Tesla has held the unveiling event for their Semi Truck in November of 2017. It was clearly the biggest fanfare a semi truck reveal has ever received. There will be two price and range options for the Semi. 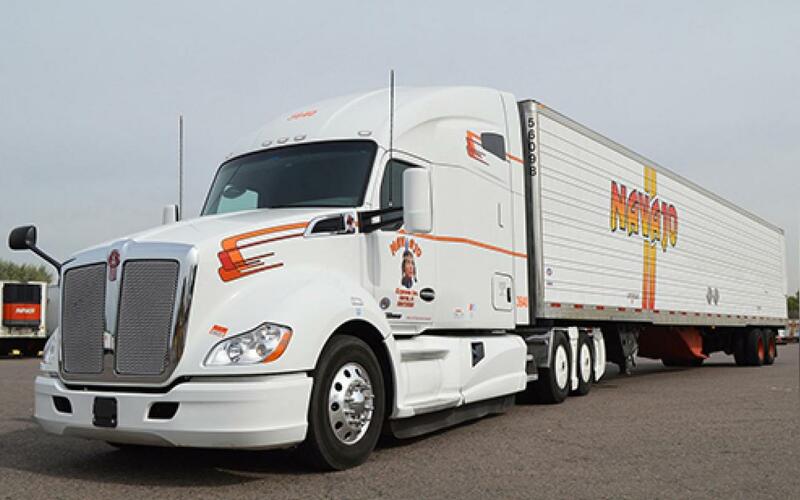 The short-range (300 Mile) semi is priced from $150,000, while the long-range (500 Mile) semi is $180,000. These prices are far less than most were predicting. Like Model 3, the Semi uses the Tesla 2170 battery cells from the Nevada Gigafactory. 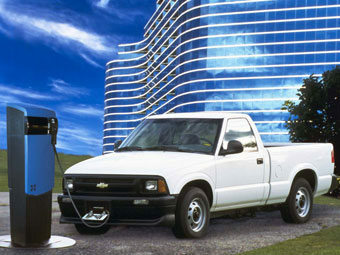 With 500 miles of range and about 2 kWh per mile, the long-range truck would have about 1 megawatt-hour worth of cells. Is the Semi Profitable to Sell? Depending on your source, the current estimate for battery production is between $140 to $280 per kWh. Assuming Tesla is on the low end of this estimate, the 1MWh size pack would cost $140,000 to produce. With the Semi priced at $180,000, that only leaves $40,000 for the rest of the truck and profit margin. If you were only to look at things as they are today, the Semi would be a horrible business with little to no margin. However, Tesla will not start selling the Semi in any significant volume until 2020. Battery prices have been (and will continue) to drop. By 2020 and each year after, the profit margin that Tesla makes on each semi will improve. And there is another thing to consider. Tesla will be selling energy to these trucks. When Peterbilt or Mack Trucks sells a truck, other than spare parts, the sale is done. They don't have a significant ongoing revenue stream. For Tesla, supplying energy for these trucks will add up. Truck drivers drive an estimated 140 billion miles every year, and a single semi drives about 45,000 miles a year on average. According to the Federal Highway Administration, long-distance trucks travel upwards of 100,000 miles a year. Tesla has said that they will sell energy at the wholesale rate of 7 cents per kWh. Applying this to 45,000 miles. That is 90,000 kWh or $6300 each year for each truck. When there are 1,000 or 10,000 trucks on the road using Tesla energy, this will be a significant ongoing revenue stream for Tesla. This is not unlike the printer and ink cartridge or razor and blade business model. If the truck generates an ongoing revenue stream, it is not paramount that the Semi is profitable on the day it rolls off the lot.